Engineer Edge has been in operation since early 2000 and serves over 1.6 million visitors monthly. Engineers Edge is absolutely the preferred online destination for designers, engineers and manufacturing professionals, where all can quickly find a variety of information to aid in the solution of typical and complex technical problems. Engineers Edge Premium membership gains you access to all of the resources we have, which is over 100,000 webpages of design, engineering, manufacturing and related tools and references. We have created membership access options to better fund the support and development of existing and new online resources. We are committed to bring you PRACTICAL online resources and tools to assist you in your technical needs! Engineering Design for Manufacturing and Assembly - (over 1000 pages of data). 100's of documents and white papers and presentations related to engineering, design and manufacturing process, operations, etc. Limited advertising to optimize printing and web page load speeds. 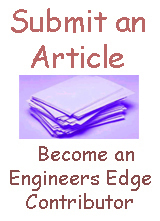 Engineering Forums and Newsletter Subscription - Free. This FREE membership gets you access to the engineering forums and you will get periodic updates on new resources and tools by email. Limited Advertising 1 Year. Advertising bars on left and right side and bottom of web page are removed for quicker web page loads times. Premium Membership Monthly. Access all web site engineering books, resources, calculators and more (see above)! Renews until cancelled. Premium Membership Annual (1 year). Access all web site engineering books, resources, calculators and more (see above)! Renews until cancelled. Student Premium Membership (1 year). Access all web site engineering books resources, calculators and more (see above)! Renews until cancelled. REQUIRES A VERIFIABLE SCHOOL EMAIL (University, College, High School Etc.). Signups without a school email can be processed with an copy/image of a school ID or equivalent emailed to webmasteratengineersedge.com. Unverified students are processed as monthly signups.. Substitute" at " with @ when emailing. Premium Membership - Limited Advertising (1 year). Access all web site engineering books resources, calculators and more (see above) and removes advertising from most web pages! Renews until cancelled. Engineering, Manufacturing Calculators and Equations - Most calculators are free, however advanced design calculators will require a Premium Membership to access. Beam Deflection and Stress Design Equations Calculators - Advanced beam stress and deflection equations and calculators. Basic calculators are free. Excel Applications Downloads for Engineers - Excel Applications Downloads for Engineers - 130+ excel Calculators! Ingenious Mechanisms Volume I - Mechanisms 'and Mechanical Movements Selected from Automatic Machines and Various Other Forms of Mechanical Apparatus as Outstanding Examples of Ingenious Design Embodying Ideas or Principles Applicable in Designing Machines or Devices Requiring Automatic Features or Mechanical Control. Ingenious Mechanisms Volume II - This additional volume of Ingenious Mechanisms for Designers and Inventors Volume has been published as a companion book to Volume I in order to present illustrated descriptions of a large variety of mechanisms and mechanical movements not at hand when Volume I was produced. Ingenious Mechanisms Volume III - Large number of mechanisms and mechanical movements not previously described in Volumes I and II have been brought together for convenient study and reference. Ingenious Mechanisms Volume IV - Ingenious Mechanisms for Designers and Inventors Volume IV. The mechanisms described in Volume IV have been developed for application in a wide variety of fields. Five Hundred and Seven Mechanical Movements Book. - Published 1868 by Henry T. Brown. Ultimate Fastener Design Manual - Comprehensive fastener design manual developed and publish by NASA. The nature of the book is largely determined by the fact that it describes fluid mechanics as a branch of theoretical physics, and it is therefore markedly different from other textbooks on the same subject. We have tried to develop as fully as possible all matters of physical interest, and to do so in such a way as to give the clearest possible picture of the phenomena and their interrelation. The chemical process constitutes the structural and motivational framework for the presentation of all of the text material. When we bring in concepts from physical chemistry—for example, vapor pressure, solubility, and heat capacity—we introduce them as quantities whose values are required to determine process variables or to perform material and energy balance calculations on a process. When the first edition of "Heat and Thermodynamics" appeared thirty years ago, it was intended for students preparing for careers in physics, in chemistry, and in all branches of engineering. It was designed for sophomores, or at most juniors, and was meant to be a first introduction to the principles and subject matter of thermodynamics. This book is an attempt to deal with the basic mathematical aspects of 'Engineering Surveying', i.e. surveying applied to construction and mining engineering projects, and to give guidance on practical methods of solving the typical problems posed in practice and, in theory, by the various examining bodies.